The mission work at Friendship United Methodist Church is spearheaded by the Mission Team. 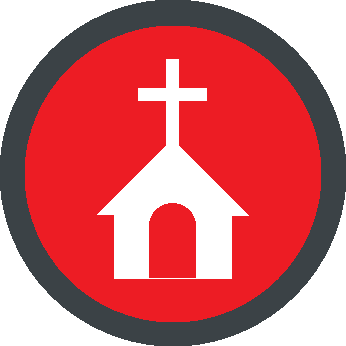 This group organizes fund-raising projects, coordinates existing mission projects and evaluates potential new mission projects for the church. In addition, several groups within the church–including the United Methodist Women and the United Methodist Men–support a variety of projects as part of their individual activities. Friendship United Methodist Church began participating in the Appalachia Service Project (ASP) in recent years, sending teams of youth and adults to participate in this home-repair ministry. The enthusiasm and support for this type of hands-on mission work led the church to form H.O.M.E. — Hands On Mission Experience — to take on such work in the local community, as well as nationally and even internationally. FUMC has been involved for a number of years in this mission to feed children residing in southern Anne Arundel County who may be missing the free or reduced breakfast and/or lunch that they would be getting at school during the school year. We are partners with Mt. Zion UMC, Our Lady of Perpetual Help, and St. James Episcopal Church in this work. Bagged breakfast meals are provided every weekday morning for 7 weeks. We anticipate feeding 160 children each day at the cost of $1,040 per week. In addition, on Fridays we will also be giving a weekend bag of extra food to families. Your donations, as well as your prayers, are requested in support of this program. Checks may be made to FUMC, with the notation “Breakfast Club.” Thank you. The SCAN Food Pantry needs drivers with a pickup truck and/or trailer to get food from the A.A. Co. Food Bank. Also, help is needed to unload incoming food. The work is done during a week day and takes about two hours. You will be called approximately every three or four months. If you can help, please contact Lucy Arthur at (410) 741-0276 or donlucyarthur@verizon.net.